I am currently dwelling upon the disappearance of all my older relatives and my only sibling. There is no one remaining in my family with whom I have shared memories from before my first child turned, say, ten years old in 1973. That’s around 35 years of remembered history which is not directly relevant to anyone living. To keep some of these memories alive I have created a Family Blog. I have few friends left from the older times. 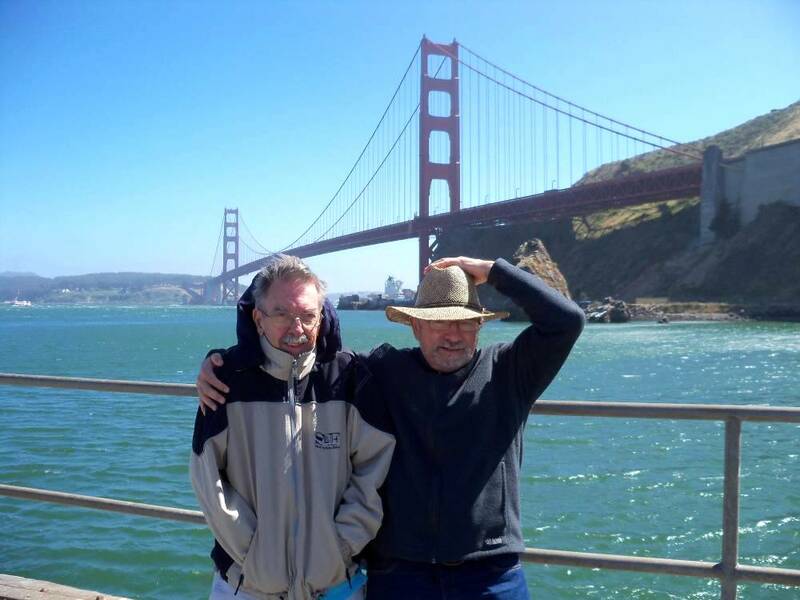 Fred and I went to Berkeley High school together, and we have remained in touch since 1953. Gary and I met professionally in San Francisco 1963, went our separate ways in 1964, but have exchanged letters at Christmastime ever since. Denny and I met professionally in Sacramento in 1977 and quickly became pals, but we live far apart. We stay in touch primarily by Facebook. Several other friends, all younger than I, have died. One old friend, a buddy from our time together in the US Navy, recently contacted me after around 50 years since we last saw each other. His family brought him to meet me in San Francisco when I was visiting family near there. His mind was failing under the burden of a growing dementia. He and his family wanted a photo record of this visit to remind him of it. We spent two days together traveling the San Francisco Bay Area, remembering old times and old friends when we had been on shore leave. I have made and retain other friends from newer times. We will grow older together. So what more is there to say regarding the fading away of family and friends? I guess there is no conclusion to reach other than to recognize the obvious and to accept it. of the random events over which we have no control. I invite you to use this forum to tell our readers what you have learned in your many decades. I invite you to help me create a personal history of our generation that will serve as a resource to others. I invite you, as a brother or sister survivor, to stay with me and the other contributors to this weblog as we fade into the sunset.